We already mentioned numerous times how drones have developed from children’s toys to fully usable tools in various industries. Driven by those thoughts, it comes as no surprise to see drones being used after a horrible event such as those in Texas. Of course, I am referring to the hurricane Harvey which hit the coast of Texas in late August. The damage erupted to catastrophic measures and left more than 30,000 houses completely flooded. Add to those numbers over 1 million waterlogged cars which are now waiting for better days. When it comes to drones, there are more than 2,000 licensed sUAV pilots in the Houston area, some of which have already started working with their drones. Considering the FAA gave the green light for commercial drone uses, this could be a big opportunity for our beloved birdies to show themselves in good light and help people in need. Brandon Stark, director of Center of Excellence on Unmanned Aircraft System Safety at the University of California. Not to be mistaken with Brandon Stark from the popular series Game of Thrones. And while President Trump is contemplating who has the biggest “hurricane”, him or Obama, Texans are slowly starting the process of assessing the damage done. And, as I have already mentioned above, drones will help with the process. Let’s see how will they be used for helping Texans get back on track after this horrific event. What will drones be in charge of? For those of you wondering what exactly will drones do after Harvey, you will agree with me that the answer is pretty much straight forward. 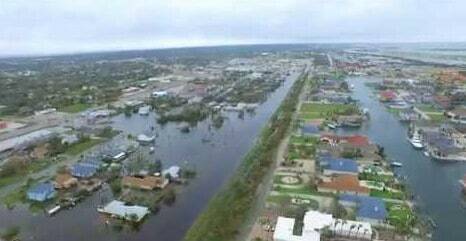 Drones will main serve for assessing damage dealt by the huge floods and extremely high-speed winds. Needless to say, they will do the tasks much cheaper than what would be the case if conventional methods were used. That’s why, drones will visit bridges (check out the best bridge inspection drones here), power lines, water treatment plants and even roads. Basically, they will be present in all hard-to-reach places and collect valuable data to present us with total damage done by the hurricane. Obviously, drones are cheaper to operate and provide better maneuverability than helicopters which allows them to collect plenty of precious data. Furthermore, they also represent a risk-free damage assessment process as their pilots are on the safety of solid ground which is, as we all know, not the case with helicopter crews. Lastly, it’s also important to note that plenty of insurance companies are launching their personal drone fleets, trying to assess their clients’ damage. 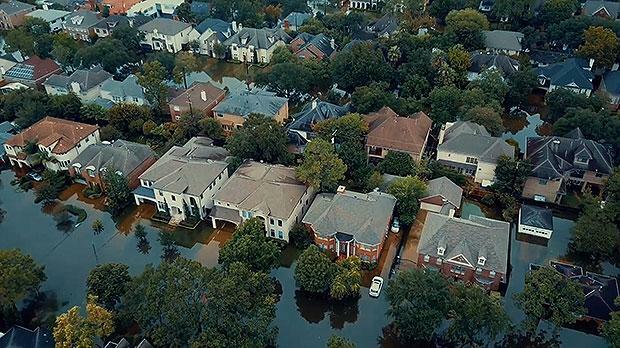 So, to summarize – it seems as though drones will be the main tool for damage assessment across the Houston area. In fact, across all parts of Texas that got struck by Hurricane Harvey. Needless to say, the recovery is going to be a long and painstakingly demanding process, but with the help of sUAVs and brave people from all over the States who came to aid, I’m sure Texas will get back to its feet sooner than most of you think.